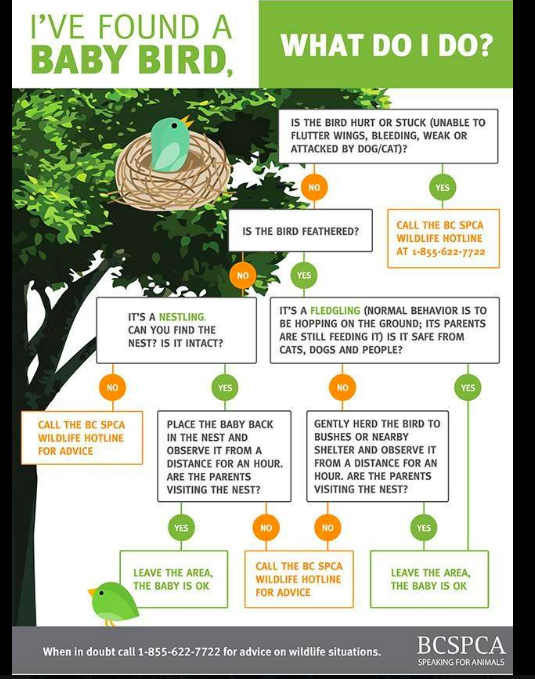 VANCOUVER ISLAND, BC- With spring comes baby bird season, but what do you do if you see one in need of help? The first step is to see if the baby bird is physically hurt, according to Gylaine Andersen, manger of MARS Wildlife Rehabilitation services. 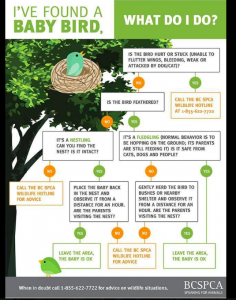 “The first thing you want to assess is if the baby bird is actually injured, or if it tangled up in something or if you know they have been in contact with a cat or attacked by a dog,” said Andersen. 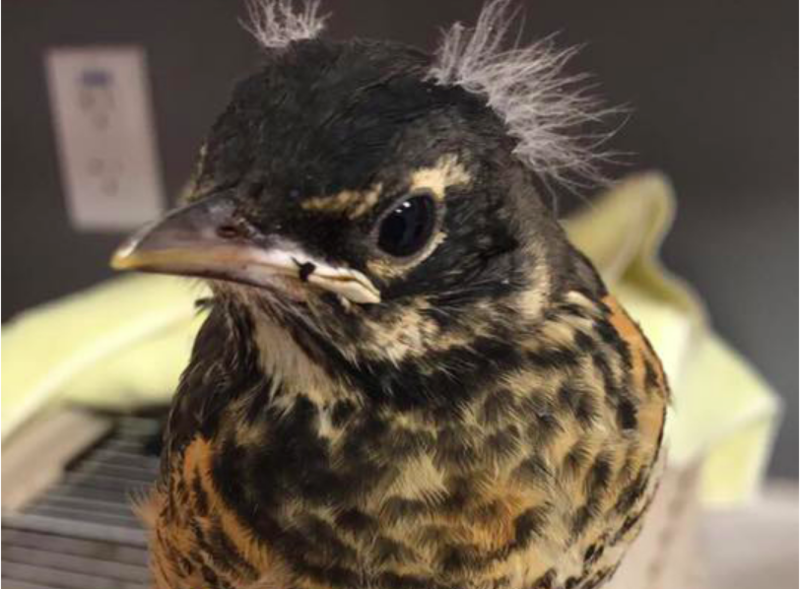 She went on to say that if you are not sure if the bird is actually hurt then call Wildlife Rehabilitation and they will look further into the situation. “They might ask for a photograph or just a description of the animal and they will help you determine if it is injured.” said Andersen. According to the MARS website it is “an old wives tales” that the parent will not return to the baby after a human has handled it. A common mistake involving people wanting to help is when a bird is not in the nest. “A common misconception is they should always be in the nest or that they should be able to fly,” said Andersen. The best thing for the baby bird is keeping it with its family, according to Andersen. 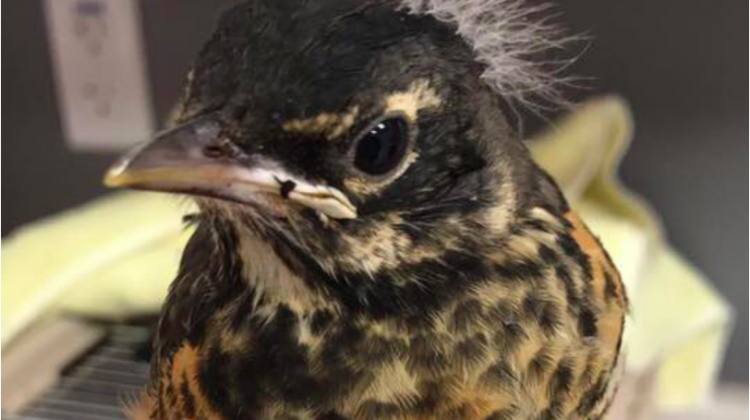 “The best thing is for a baby bird to be raised by its own parents, because we do our best here to raise the babies that come in but their best chance of survival is with their parents,” said Andersen. Andersen also mentioned fawns and seal pups. “Baby seals and baby deer are often left by their parents for quite a long time, we usually say if you know they have been alone for up to 48 hours then you should give Wildlife Rehabilitation a call.” sad Andersen. For more information on MARS Wild Life Rehabilitation click here.